Rocker John Mellencamp’s two teenage sons face battery charges for allegedly punching and kicking a man during a fight that left the victim with serious facial injuries. Monroe County prosecutors on Thursday charged 19-year-old Hud Mellencamp of Nashville, Ind., and 18-year-old Speck Mellencamp, of Bloomington, with one count each of battery resulting in serious bodily injury. Ty A. Smith, 19, of Bloomington, faces the same charge in the early morning July 29 attack. Smith is the son of Indiana University baseball coach Tracy Smith and is a walk-on for IU’s football team. Bloomington Police said in a statement late Thursday afternoon that investigators were trying to contact the Mellencamp brothers and Smith to make arrangements for them to surrender. A probable cause affidavit states that Speck Mellencamp punched 19-year-old Alexander Bucy in the face on the porch of Bucy’s Bloomington home because he thought Bucy had hit him earlier that evening at Bucy’s house party. Hud Mellencamp and Smith joined in, and the trio allegedly “punched, kicked and stomped” Bucy, the document states. When Bucy was able to get to his feet, Speck Mellencamp allegedly knocked him backward off the porch onto a sidewalk two to three feet below, where Speck Mellencamp punched Bucy until someone pulled him away. The Mellencamp brothers and Smith then allegedly ran from the scene. Bucy suffered facial fractures and received stitches at a local hospital, according to the affidavit. It also says Bucy was referred to a plastic surgeon. Speck Mellencamp told officers he had been at a party at Bucy’s home earlier when two girls began fighting over him, and that a white male punched him as he tried to halt the girls’ fight. Mellencamp said his assailant ran into the house. He said he “was very upset about being punched” but soon left and went home, where he, his brother and Smith decided to return. Hud and Speck Mellencamp are the sons of John Mellencamp — whose hits include “Hurts So Good” and “Pink Houses” — and his third wife, model Elaine Irwin. The couple divorced in 2011 after 19 years of marriage. For the first time in 19 years, John Mellencamp is set to tour the UK and Europe with dates set for late June and July 2011. The No Better Than This tour is designed as a uniquely formatted “evening with,” and brings Mellencamp’s music to theatre-sized venues, a rare opportunity to experience one of America’s most iconic songwriters and performers in an intimate setting, highlighting all phases of his artistry. The new No Better Than This Tour dates will take in Denmark, Germany, Netherlands, Ireland, UK, France, Italy, Switzerland. 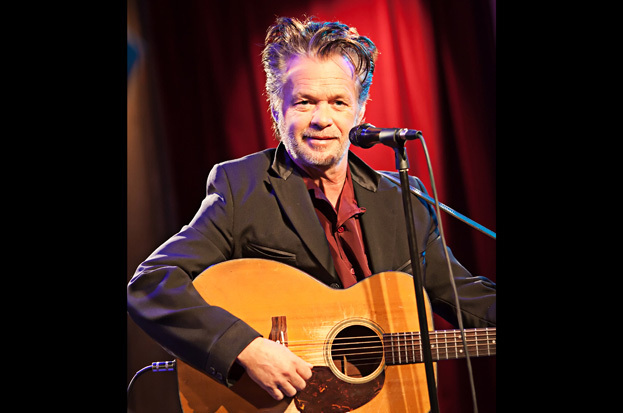 As a reflection of the diversity of styles and material that have been a hallmark of Mellencamp’s eclectic career, the concerts are formatted into three segments. 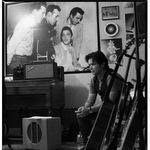 These showcase John Mellencamp in an acoustic context, fronting a small combo recalling blues/country and rockabilly roots and with his full rock band. Of special note is the fact that the tour’s “opening act,” is a documentary film by Kurt Markus entitled It’s About You. Shot on Super8 film over the course of 2009’s Bob Dylan-John Mellencamp-Willie Nelson tour of minor league baseball stadiums, it chronicles the creation of No Better Than This. In early December, John Mellencamp paid a visit to A&E’s studios for an interview and acoustic performance with the Private Sessions host Lynn Hoffman. The one hour conversation and mini concert debuts this Sunday January 23rd at 9 AM ET. 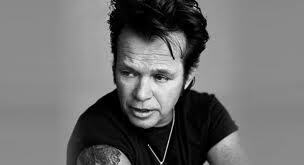 John Mellencamp has made his marriage split official by filing for divorce from his wife of 18 years. The veteran musician announced last month (Dec10) that he had separated from his supermodel partner Elaine, who he married in 1992. Mellencamp filed papers at a court in his home state of Indiana on Friday (Jan 14) as he moves to officially end the union, according to the New York Post’s gossip column Page Six. The rocker, who has two children with Elaine, has been married twice before and is now rumoured to be dating Hollywood actress Meg Ryan. You wouldn’t normally think of the words “Ke$ha“ and “First Amendment” together, but the singer is the latest celebrity to join a public education campaign designed to remind Americans about the freedoms that the Constitution grants us. The campaign, called 1 for All, launched this summer and was created in response to a survey that found that only one in 20 Americans can name all five freedoms guaranteed by the First Amendment: freedom of religion, freedom of the press, freedom to peacefully assemble and protest, freedom to petition the government, and, of course, freedom of speech. Ke$ha said in a statement, “Freedom of speech is the only reason I have a career in music. I exercise that right every day, at every song and in every song. It is an invaluable right I feel every human is worthy of.” She and others appear in a print ad campaign in support of the campaign that declares, “Free. To Sing To Speak To Write To Protest. Thanks to the First Amendment, you can be whoever and whatever you want to be.” Visit 1ForAll.us for more info. Other stars who’ve joined the 1 for All campaign include Ellen DeGeneres, rocker John Mellencamp and David Gregory of NBC’s Meet the Press. John Mellencamp’s new album, No Better Than This, is the rocker’s 10th top 10 album – it debuts at #10 on next weeks Billboard album chart! On top of its lofty arrival on the album chart, the album is #1 for the third week on the Americana Radio chart! The video for the title track from John’s No Better Than This album has been released! The video was filmed and directed by Ian and Kurt Markus and culled from their Summer 2009 footage. The video serves as a preview of the documentary It’s About You which was filmed during the making of the album and John’s tour with Bob Dylan and Willie Nelson.